The Eagle is a proven combat fighter with a distinguished history. It is one of the smallest fighters available with jump capability. It has the distinction of being the only ship that has been so successful versions have been built for both the Federation and Imperial navies. This role has been superseded by the respective navies' short range fighter programmes, but the Eagle still sees extensive service across human space. Core Dynamics are no longer building these ships, but do still provide parts and servicing due to their popularity. 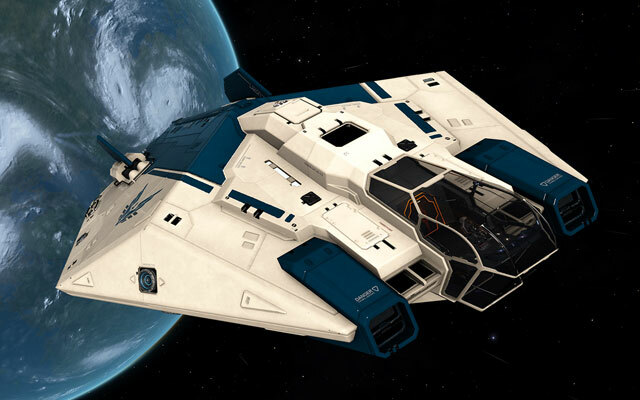 The Eagle MkII is an agile fighter sporting 3 weapon hardpoints. It is the most manoeuvrable ship currently in the game, as well as being the cheapest combat-specialized vessel. However, it suffers from a short hyperspace range, as well as a tendency to overheat and run out of weapons power. 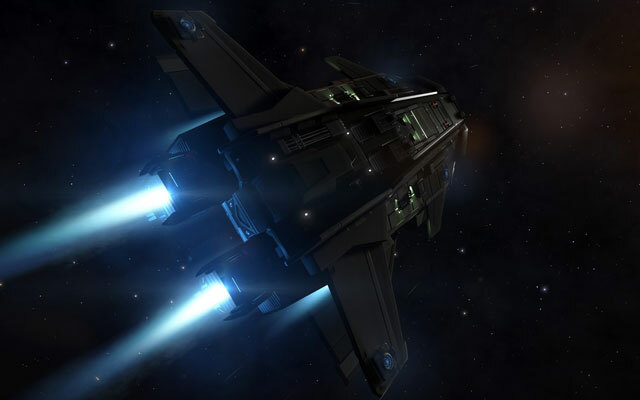 In September 2014 Frontier announced that the Eagle would become a second starting ship for all players who had pre-ordered Elite Dangerous, including existing Beta and Kickstarter supporters. This starting Eagle (known as the "Freagle") is located in a Station outside of the player's starting system and can be flown once the commander travels to the station where it is stored. The Freagle can be found by opening the Galaxy Map and looking for a system with a blue ship icon next to it; the ship will be located in a station within the designated system. 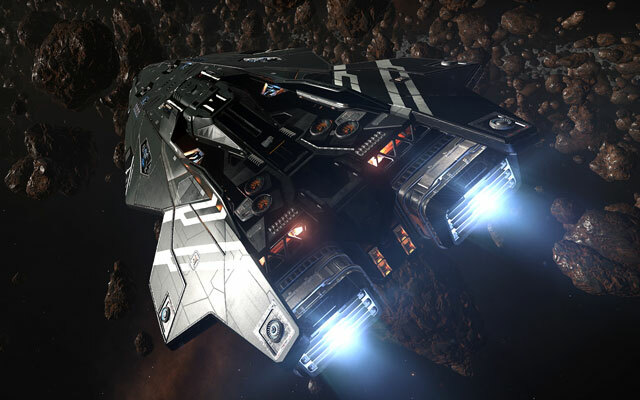 Some players aspiring to be bounty hunters may use the Eagle as a cheaper alternative to the Viper. While this is a valid strategy for bounty hunting, keep in mind that the Eagle, while very agile, has a very weak hull so fitting shield cells is strongly advised for an Eagle wielding bounty hunter.